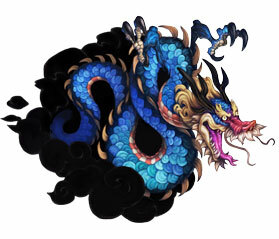 Redesigned for the PlayStation Vita, Muramasa takes this award winning game to new levels with HD graphics and more! Two Stories - Follow Momohime, a princess possessed by the evil spirit and journey west, battle demons and much more! 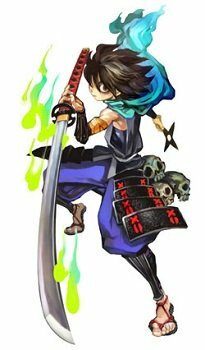 Kisuke, a ninja who has lost his memory, and travel east in search of the demon blades. HD Graphics - Using hand-drawn graphics and Japanese artistic styling, Muramasa Rebirth creates a colorfully painted world on your PS Vita screen! Additional Characters - Play in four additional scenarios as different characters! The stunning 2-D artwork comes to life in OLED-ready graphics. See the vibrant colors and detailed art as they should be seen on the PS Vita. Four additional characters and scenarios will be available to download, each featuring a new story line, new characters, and new enemies. 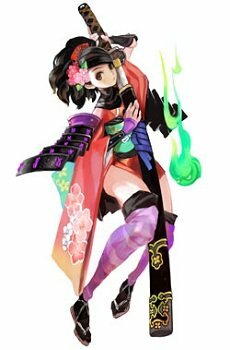 Whether you enjoy hack/slash type play or prefer to use your character’s special abilities in a controlled manner, Muramasa Rebirth offers two modes of play to satisfy every player’s needs. If you don’t like the original default buttons, customize the buttons to make the gameplay truly yours.